Do you want to Backup your Android device to your Windows PC, but literally confused how to create Android device backup? If yes, this guide is the only thing you need to read. Today in this guide you will learn how you can backup your Android device to your Windows PC just by following some simple and easy steps. Generally, people take backup of their smartphone in fear of theft, getting lost, getting completely damaged or may be any other reasons. So taking a backup of your smartphone to your PC may look quite difficult and confusing, but actually, it’s as easy as cutting a piece of cake. Well, may not be that easy, still, you can do it on your own. 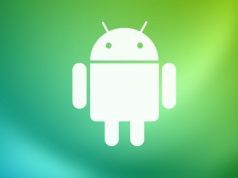 In order to take the backup of your Android device follow the instructions given in this article. Also, read how to find and delete duplicate files in Android. Step 1: At first, Install Android SDK Tools from here. Step 2: Once installed, Launch SDK Manager. Step 3: Now check Android SDK Platform-tools. Step 4: Now select install x packages. Step 5: Now unlock your phone, and go to Settings. Step 6: In Settings, Go to About phone/device. Step 7: Now scroll down, and tap 7 times on Build number, then you will see a message saying You are now a developer. Step 8: Now again go to Settings. Step 9: Scroll down and select Developer option. Step 10: Now turn on USB Debugging. Step 11: Once enabled USB Debugging on your device, connect your smartphone to your Computer/PC using a data cable. Step 14: There are different types of command and it varies from which type of information or file you want to backup. Enter the below-given command according to your need, in order to backup those files you prefer. adb backup -all : If you want to backup all your system data excluding Apps, which will be default saved to  platform-tools folder as backup.ab. adb backup -all -f C:\filenameichoose.ab : Performs the same task as the above command, in this you will be able to backup to the location you prefer. -apk : If you want to take the backup of your Apps. -noapk : If you don't want to take the backup of your Apps. -shared : If you want to take backup on your SD card. -noshared : If you don't want to take backup on your SD card. Step 16: Once you have entered your preferred commands, you will be asked to create a password on your phone. Step 17: Once creating your password, click on Backup my Data option on your phone. That’s all you need to do. You have successfully taken the backup of your Android device to your PC. Do let us know if this has worked for you or if you are facing any difficulty following the instructions.